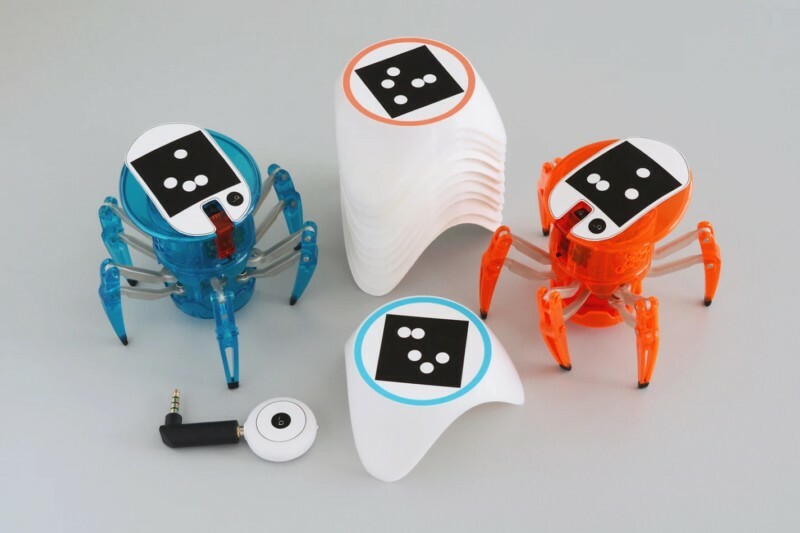 Buffalo, MN: Tyro Electronics, an educational robotics an electronics company founded by Tyler Spadgenske, just launched TyroBot on Kickstarter. 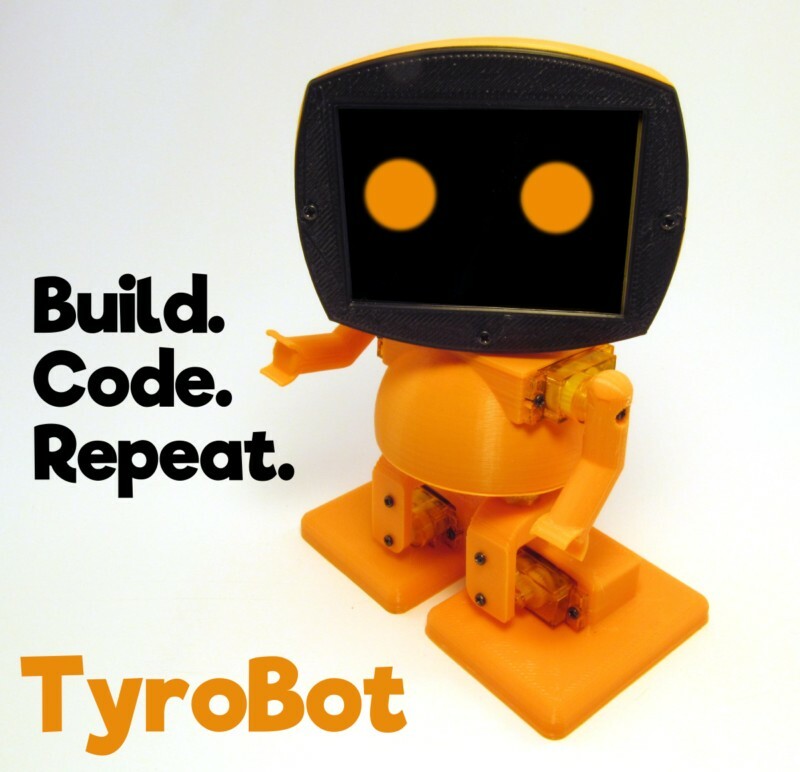 TyroBot is a 3D printable do it yourself humanoid robot kit aimed at getting people of all ages and experience levels started in robotics and programming. The Maker’s kit includes all the electronics and components you need to build a TyroBot, but you must 3D print the plastic parts yourself. 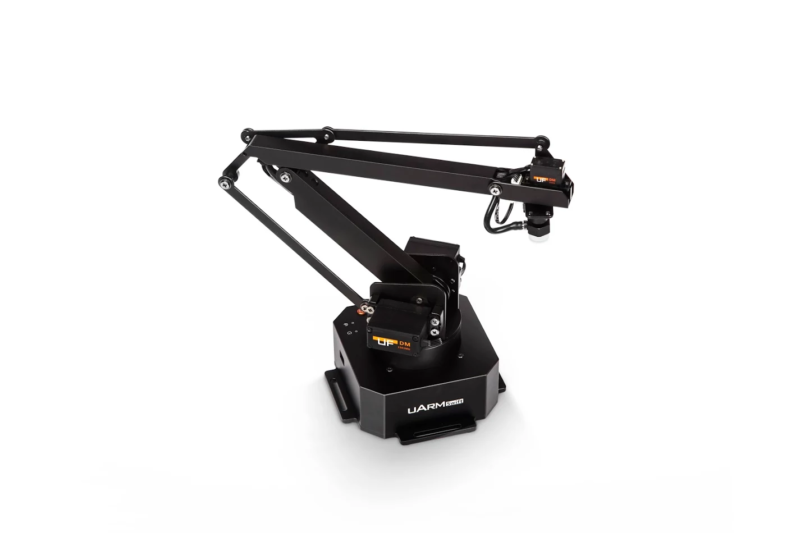 That can be done on any 3D printer with a bed size of at least 100mm^3. 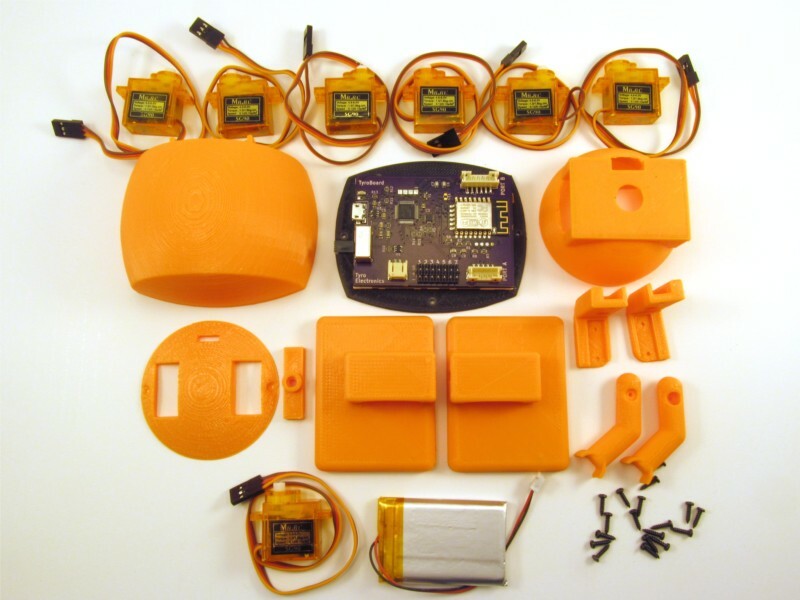 The complete kit includes everything you need to build a TyroBot except a screwdriver. TyroBot’s brain is Tyro Board, a custom electronics controller board with a 32 bit ATSAMD21 microcontroller, WiFi, accelerometer for detecting orientation, rechargeable lithium ion battery and two expansion ports for further customization. Tyro Board supports 7 servos, 4 for walking, 2 for arms, and a head servo. 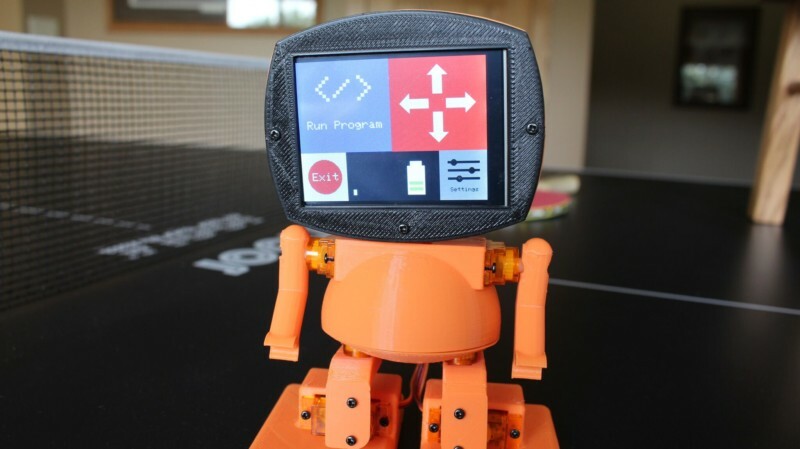 On the reverse side of Tyro Board is a 2.8in TFT touchscreen display for programming and playing with TyroBot without the use of a computer. Once TyroBot is built, flip the switch and TyroBot is operational. 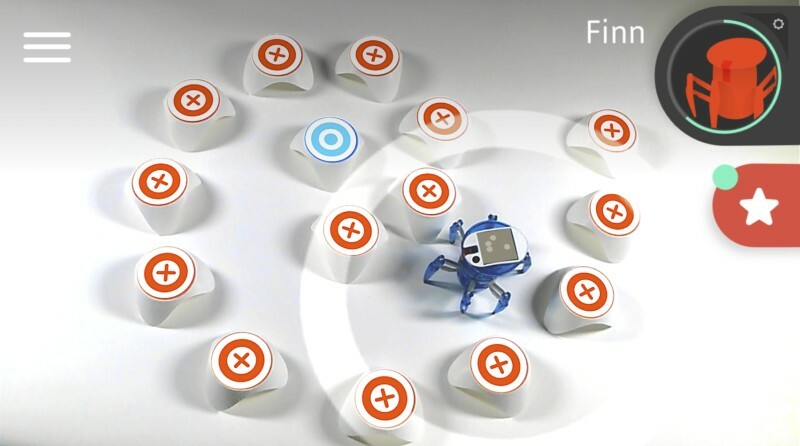 Using the built in software, you can make TyroBot walk forward, backward, left and right without ever having to plug him into a computer. 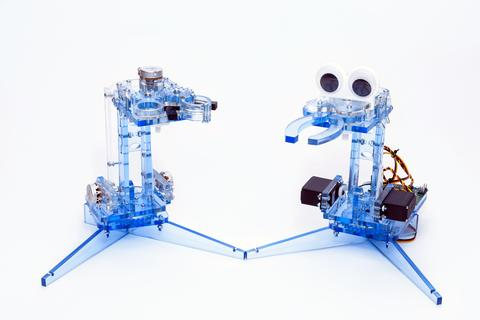 When you are ready for something more advanced, connect TyroBot to a computer and follow easy programming tutorials to make him do more advanced maneuvers by programming him in Arduino with our open source libraries. With TyroBot’s built in WiFi, the user can also make TyroBot send tweets to Twitter, email, or do anything supported on the IFTT network. 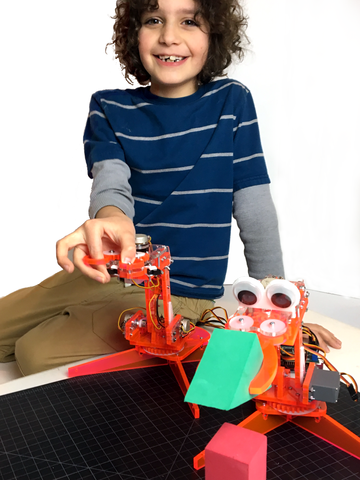 Tyro Electronics is an educational robotics company founded in 2016 by 17-year-old Tyler Spadgenske. 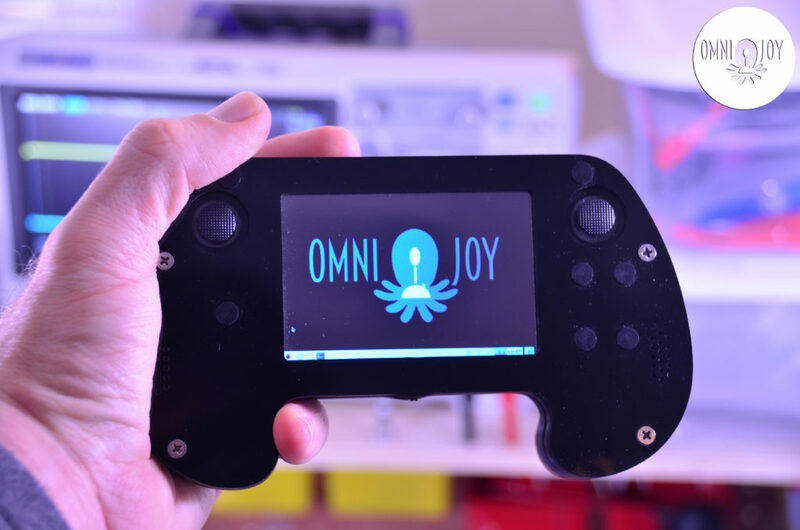 Tyro Electronics started out by selling parts to make retro game emulators but has moved into selling DIY Kits with the release of TyroBot. 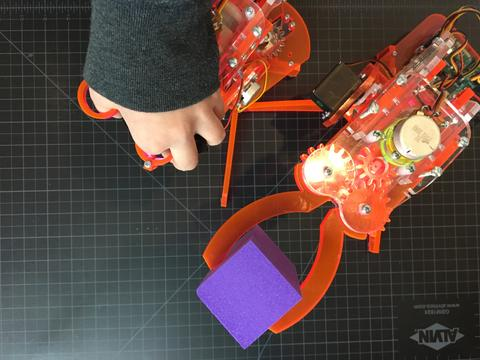 Tyler Spadgenke is a student who has built countless electronics and robotics projects, including a Smartphone, Home Monitoring System, and a Smart Drawer. 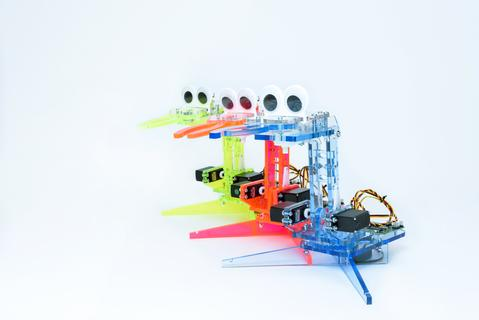 PIX3L PLOTT3R is a series of printing robots made with LEGO MINDSTORMS EV3s by Sanjay and Arvind Seshan. Different versions provide different features. 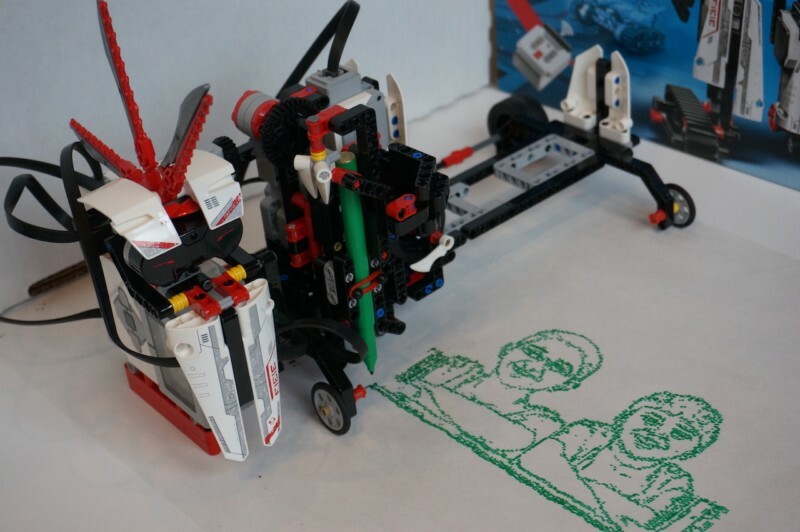 Some feature a paper feeder, some feature LEGO markers and some feature multiple EV3s working together (Holiday Card Plott3r). Some are programmed in Python and others in EV3-G. Each version also features a different print mechanism. The original PIX3L PLOTT3Rs from 2016 used parts not available in either MINDSTORMS sets (313131 and 45544), making it hard for others to complete the same project. SCRIB3 is the newest member of the PIX3L PLOTT3R family of robots. It is built with parts available in a single 31313 set. An image processing step is completed in Python to create an image compatible with the EV3. However, the robot uses standard EV3-G code to print. You can access the project files at www.beyondtheinstructions.com/projects. DEN HAAG, Netherlands, Dec. 23, 2016 — Anyone searching for a cool personal robot might be interested in Dawody Robotics, Bobbie 1S robot. 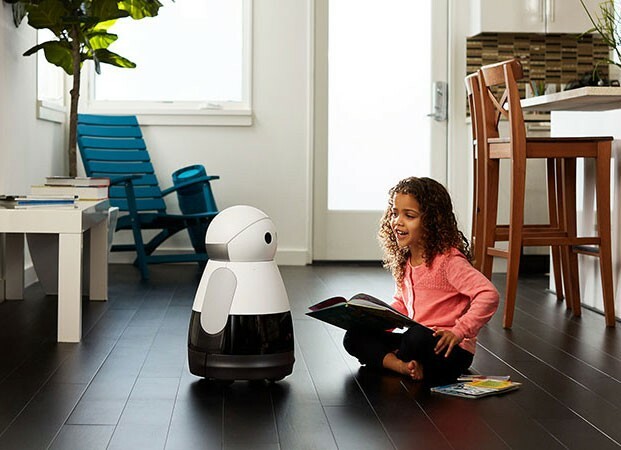 This cute humanoid robot is voice controlled and can be used as a home guard, personal assistant, educational robot and family member in one. 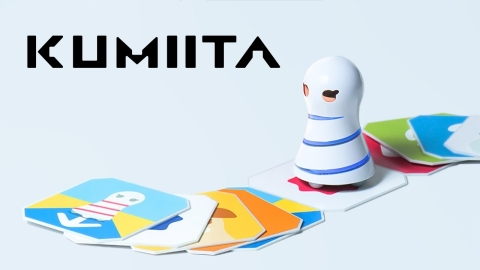 The robot can be described as a Smartbot. A telephone and robot in one, Bobbie is equipped with a touch screen monitor and a camera that enables it to monitor the house, make calls, surf the web, receive messages and much more. 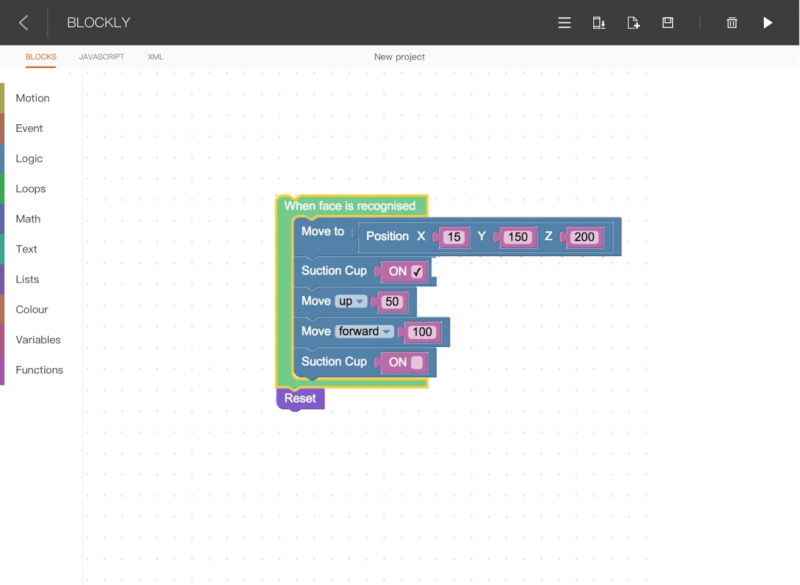 Bobbie has a simple program, making it easy for young and old to develop new applications for it. The robot has its own, sometimes annoying character that makes him special. Sometimes Bobbie will give surprising answers while having a chat with him. While shooting a promotion video, the founder of Dawody Robotics asked Bobbie who the President is. Bobbie’s answer was that he is officially running for president himself, promising to make Dawody Robotics great again. Dawody Robotics‘ aim is to introduce Bobbie’s little brother in 2017 in collaboration with a partner company that will truly change the way we look at robots. 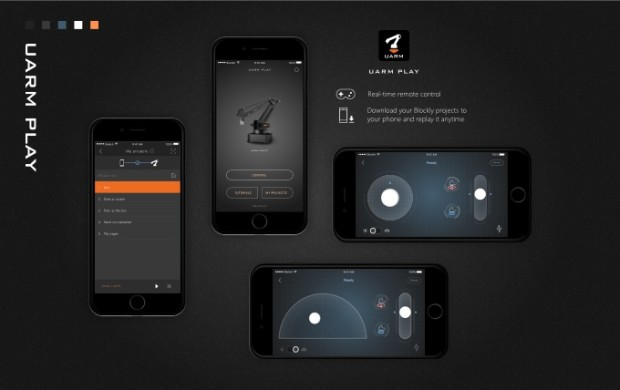 „Our aim is to have robots in every household in a time span of 5 years from now, just like people have mobile phones nowadays,“ said Safa Dawody, the founder of Dawody Robotics. The price for Bobbie 1S is from $300 USD for the Super Early Birds and will be shipped estimated in March 2017 to its new owners. Who knows, maybe Bobbie 1S will make it to the White House one day.